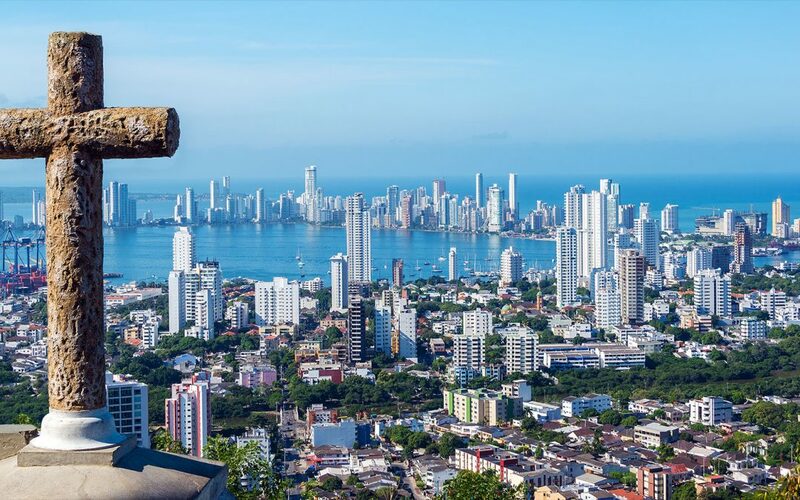 COLOMBIA has been undergoing an economic transformation in the last few years. It has now become an attractive place for foreign investment in the energy sector after a series of reforms which relaxed labour laws. Since then, there has been a dramatic increase in exploration and production of oil and gas. There also has been some extraction of shale gas by US giant energy company, Exxon-Mobil. The estimates of reserves are highly optimistic. The mining sector is also experiencing a boom, most notably in the production of gold. On the political front, the government of President Juan Manuel Santos has balanced the country’s budget and eased tensions with Venezuela. But crucially, it has started to try to end internal conflicts with guerrilla groups which have lasted for more than half a century. Peace negotiations started in November 2012 in the Cuban capital, Havana, with the largest guerrilla group, known as the FARC (Revolutionary Armed Forces of Colombia). This has been a major step in the peace process. It also marked the biggest move in decades by the Colombian state to reclaim control over the nation’s territory and to bring peace to the country. Colombia has also signed a number of free trade agreements with the United States, the European Union and its neighbours. If there is progress in the peace talks, however slow, Colombia should be able to play a major role in the global energy market in the next few years. But the guerrillas are not the only armed group operating outside the law in Colombia. For the past 20 years, paramilitaries have operated with government acquiescence to fight the guerrillas in places where the country’s armed forces could not operate. This has been carried out in some cases with vast financial support from the United States via Plan Colombia, which supports various activities in the country, such as the training of armed forces. When President Santos distanced his government from that of his predecessor, Alvaro Uribe, by declaring that he would do everything possible to make amends for the atrocities of the paramilitaries, tens of thousands of refugees sued the government for compensation and the return of their land. But as the paramilitaries are demobilised, many of their members are forming organised crime groups, which are responsible for widespread violence in several regions. Colombia continues to be the principal hub of the massive trade in illegal drugs for the United States. Nothing the Colombian government has donehas succeeded in reducing the illegal trade to any significant degree. Estimates within the World Bank during the 1990s showed that the laundering of money from the illegal traffic in drugs exceeded 10 per cent of the nation’s gross domestic product. Yet in spite of this knowledge, the government and the bank published reports each year indicating that the Colombian economy was growing. Colombia’s other problem is diplomatic. After 10 years of deliberation, the International Court of Justice at The Hague has issued its findings in the dispute between Colombia and Nicaragua over the San Andres island chain, just off the coast of Panama. The judges confirmed Colombia’s sovereignty over the islands. But, in recognition of Nicaragua’s maritime rights and the extension of the continental shelf off the coast of Nicaragua, it has granted sovereign rights to Nicaragua to waters just to the north and to the south of the islands. The judgment has infuriated Colombian public opinion. The Santos government, in response, has denounced the court, rejected its judgement and announced that it was withdrawing from the Treaty of Bogota, under which Colombia and all Latin American countries agreed to resort to the International Court of Justice to resolve territorial disputes. The Colombian reaction to the court decision comes at an unfortunate time when President Santos is trying to reposition Colombia as a loyal and cooperative player in the international community.